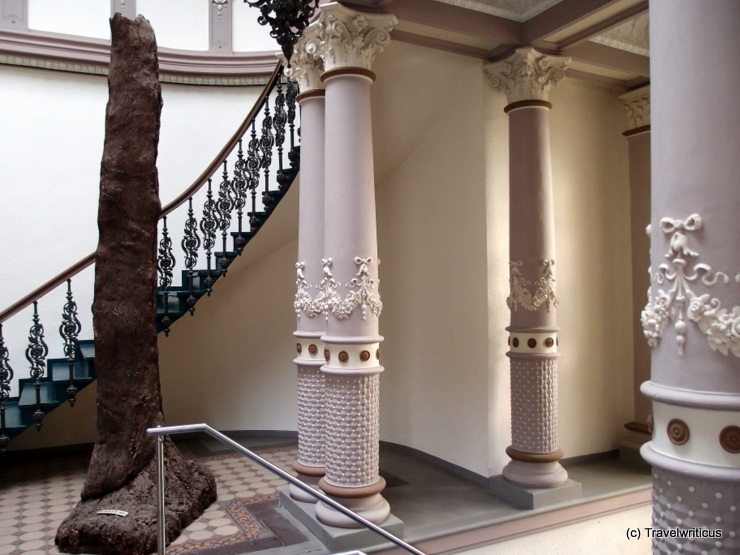 In the splendid staircase well of the administration building, a piece of cork oak (quercus suber) is displayed. So, people joining a guided tour through the historic sparkling wine cellars of the Rotkäppchen winery get an impression from which tree the sparkling wine corks are made. 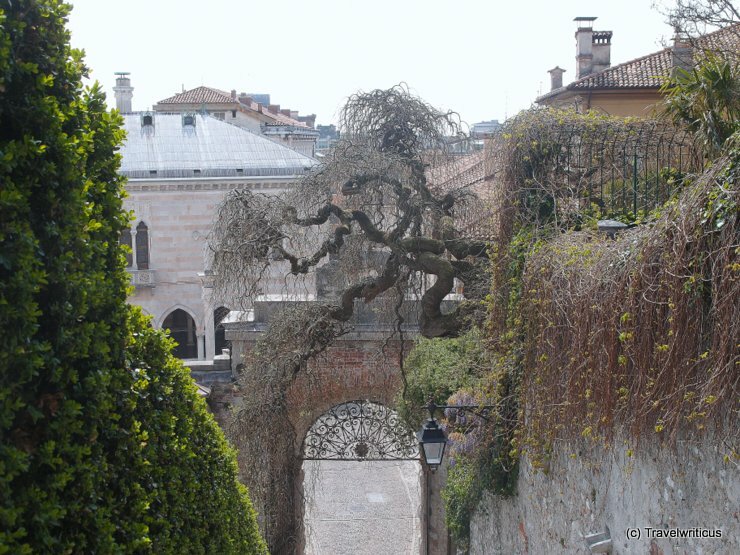 On my way back from the castle of Udine down to the city I came across this atmospheric place dominated by a weird tree. During a weekend staying in Trieste I made a trip to Caresana nearby. 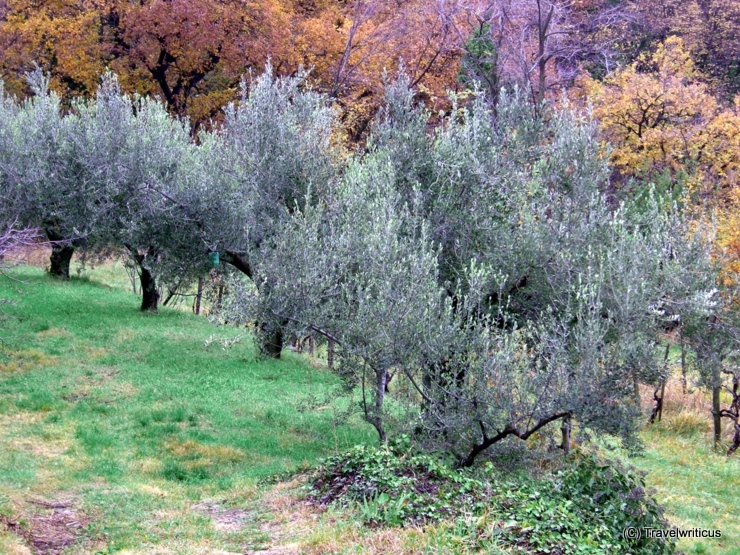 After learning some details about the olive oil production in a mill I enjoyed this set of colours in one of the olive groves.